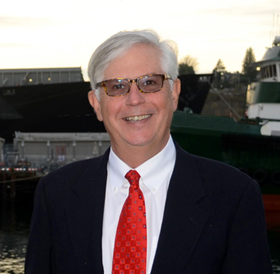 Stacey & Jacobsen, PLLC is a leading Maritime Injury Law firm located in Seattle, Washington. Our strong reputation has been built upon a foundation of success in even the toughest of cases. We have handled thousands of “Jones Act” seamen injury claims and recovered millions of dollars in compensation for our clients throughout the country. Stacey & Jacobsen, PLLC represents injured workers only. Our Washington Maritime Injury Lawyers do not represent ship owners, employers, or insurance companies. Our careers have been dedicated to the representation of workers and seamen aboard ships, tugs, fishing boats, fish processors, trawlers, draggers, longliners, crabbers, seiners, factory trawlers, gillnetters, offshore oil rigs, pleasure boats, barges, pile drivers, and derricks. Our backgrounds and practical experience provide us with the understanding of how these accidents happen and how they can be prevented. We understand how injuries impact people's lives, and how those injuries will impact their ability to earn a living and provide for their families in the future. We at Stacey & Jacobsen, PLLC are dedicated to getting our clients full compensation for their injuries. When a fair settlement is not made, we are prepared to go to court. Our Washington Maritime Injury Lawyers are the most experienced in the nation in handling wrongful death claims. We have the compassion, commitment, skill, and knowledge to recover fair compensation for the families of persons lost at sea. Our lawyers have represented over 100 families in claims of wrongful death of loved ones. Practical experience, gained over many years of litigation, is important when you need help after a family member is lost at sea. Maritime death claims are some of the most complex and demanding of all personal injury claims. Crewmen who work at sea or in commercial maritime environments are exposed to dangerous conditions every day. Federal laws such as the Jones Act recognize these dangers and provide an extra layer of protection for those injured or lost at sea. These laws also provide specific remedies for surviving family members who are victims of maritime wrongful death. If you have been injured while at sea, your case needs to be handled by an experienced, aggressive and ethical maritime lawyer serving Washington State, Oregon, and Alaska. When injury at sea is due to negligence or unseaworthiness, it is imperative to seek the counsel of the experienced lawyers at Stacey & Jacobsen, PLLC. We handle only maritime law cases-that’s what we do. We know how to prove negligence and unseaworthiness that give clients an outcome that not only compensates victims, but deters employers from ignoring the safety of workers in the future. Economic damages compensate for things like past and future medical expenses, lost wages, loss of earning capacity, and retraining costs. Non-economic damages are meant to pay for pain and suffering, loss of enjoyment of life, the anguish of losing a career, and the loss of recreational activities. In the right case, we sue for punitive damages which serve to punish the employer in cases involving egregious conduct. When you hire a maritime injury lawyer at the Washington firm of Stacey & Jacobsen, PLLC, you don’t hire a single attorney, you hire a maritime law firm with decades of experience handling maritime injury and death claims. When a maritime lawyer at Stacey & Jacobsen, PLLC tells you that he thinks you have a good case, that opinion is based upon deep experience and the proven results of past cases. Our attorneys have admiralty and maritime industries in their blood. Joseph Stacey grew up on the coast of Maine near the lobster and herring industries. James Jacobsen was a merchant seaman and Alaska fisherman. He has worked as a deckhand and mate in the Gulf of Alaska, Bering Sea, Southeast Alaska, and Puget Sound. These rich experiences give our Washington maritime accident attorneys a unique competitive advantage and perspective when handling these complicated cases. 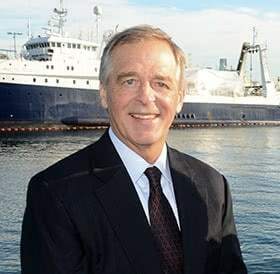 The firm of Stacey & Jacobsen, PLLC has handled high-profile cases such as the sinkings of the Alaska Ranger, Arctic Rose, Aleutian Enterprise, Katmai, Pace Setter, Galaxy, Lee III, Juris, and many other vessels. We represent seamen injured or taken ill aboard fishing vessels, fish processors, crab boats, tug boats, ships, ferry boats, derricks, barges, dredges, and all other types of vessels, including aircrafts at sea and offshore oil rigs. If you have suffered a serious injury working at sea, contact the maritime lawyers at Stacey & Jacobsen, PLLC for a free initial consultation. Don’t guess about your rights to compensation under maritime law. Don’t rely on the insurance company’s adjusters. We pride ourselves on fairly evaluating cases and giving our clients straight advice. The skilled attorneys of Stacey & Jacobsen are available to help. Experience. Proven Results. Commitment. We have handled thousands of maritime injury claims for seamen located across the United States. Trust In Our Experience We have a proven record of helping injured seamen, fishermen, tugboat workers and maritime employees obtain compensation. To discuss your claim with an experienced maritime lawyer in a no-cost consultation, call 877-332-5529 or contact us online. Abandoned Fishing Nets as Swimwear, Carpets, and More It is estimated that our oceans hold 640,000 tons of discarded fishing gear. This "Ghost Gear"